You see, many entrepreneurs make the mistake of selling their product or service at a low price which sometimes attracts more customers than they can handle and people who don't take their investment seriously which can ultimately lead to them becoming a nightmare to deal with. When clients are not paying much, the stakes are usually not high enough for them to care. Also, when there are too many customers to assist, your customer service quality will likely take a hit if you don't have the workforce to support them. 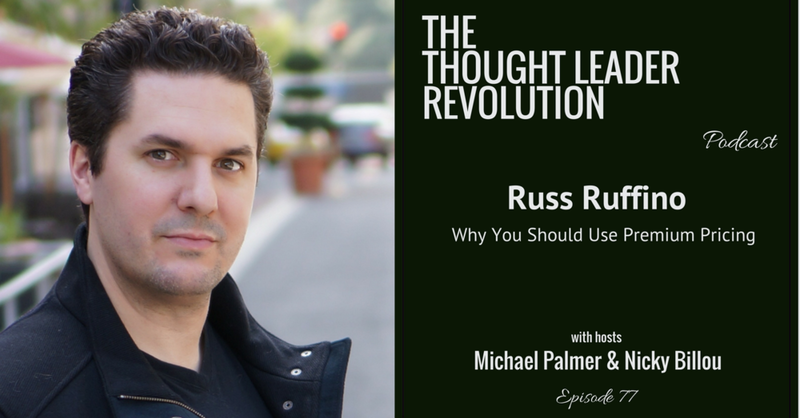 According to our guest, Russ Ruffino, owner of Clients On Demand, the solution is to offer premium pricing for your offerings. He's found when you charge more and people see your value, they'll buy and are more willing to actually do the work. The beauty of this strategy is that not only will you be working with less clients, but you'll be associating yourself with winners, make more money and have great impact because you're helping people who are committed to getting results. To find out more about Russ, visit here. You can check out his Clients On Demand podcast here.